Do you have a plan for a great backyard design but don’t know when to start? Many people think the best time to start is in the springtime, as they have all summer and fall to work on it. While it’s a good notion, here are 3 reasons to begin working on your backyard hardscape in the fall. Planting flowers in the spring is a tempting idea, as the idea will be that they bloom in the late summer or fall season. However, it can be a race against the clock, and there is a chance the weather will prevent you from planting early enough in the spring to get the bloom you’re looking for. Instead, avoid the risk by planting your flowers and buds in the fall, and by spring the flowers will be ready to bloom. This is an advantage as you won’t have to worry about the intense summer heat being too much for the growing flowers, and you wasting your hard earned money on wilted results. If you have questions or concerns about how or what to plant in the autumn, ask a local professional landscaping service near you for help, advice, or assistance. Putting down stone or brickwork is labor-intensive and strenuous, and can be made even more difficult in the heat of the sun. Laying down stone in the fall is a great move, and can make the task both tolerable and efficient. Also, leveling and evening the ground or dirt will be an easier task, as the ground will maintain its moisture, making the soil malleable and easy to manipulate. Putting down stonework in the fall is a great example of working smarter, not harder. Instead, take your time over the summer to double check your plans, and researching what aesthetic and materials will work best for you and your family. Ask neighbors, family, friends, and landscapers for what will look best in compliment to your home and backyard. Having the perfect patio lighting can make a huge difference in the atmosphere and vibe of your backyard retreat. Gauging what color, hue, and saturation of light can be tricky for even experienced home renovators; however, don’t get caught making the job more difficult. Trying to figure out what lighting will work best is nearly impossible if the sun is still out. The color of the lights will look dramatically different every time the sun sets lower in the sky, and during the height of summer, that can be well into the evening. In the fall, the sun will set much earlier, and you can find what lighting works best early in the night. 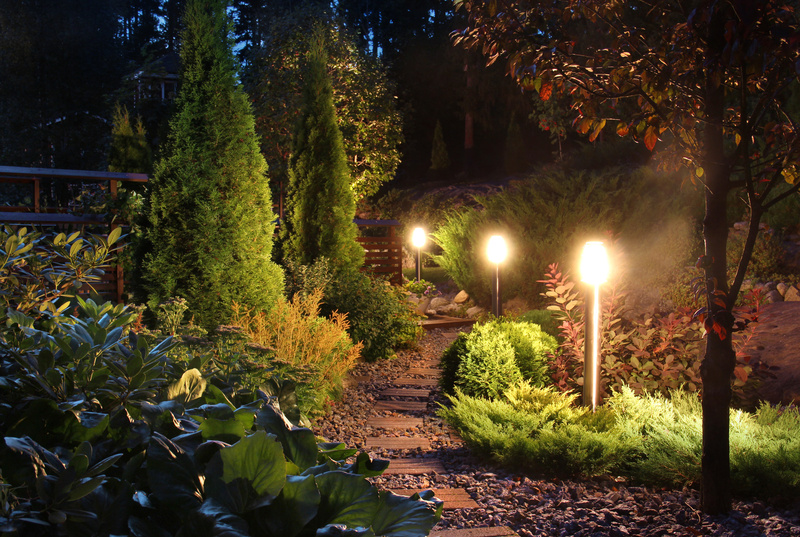 Make sure the sun is completely set before working on the lighting, and try several different options, colors, and bulbs before deciding on your final choice. Planning a hardscape in Atlanta is fun and exciting, but can also pose a challenge if you’re not adequately prepared for the challenges that lay ahead of you. Don’t work against yourself and make the workload as light as possible by beginning your hardscape in the fall. Plant flowers, lay down stone, and choose the perfect lighting when the heat and light of the sun are off your back and out of your eyes. 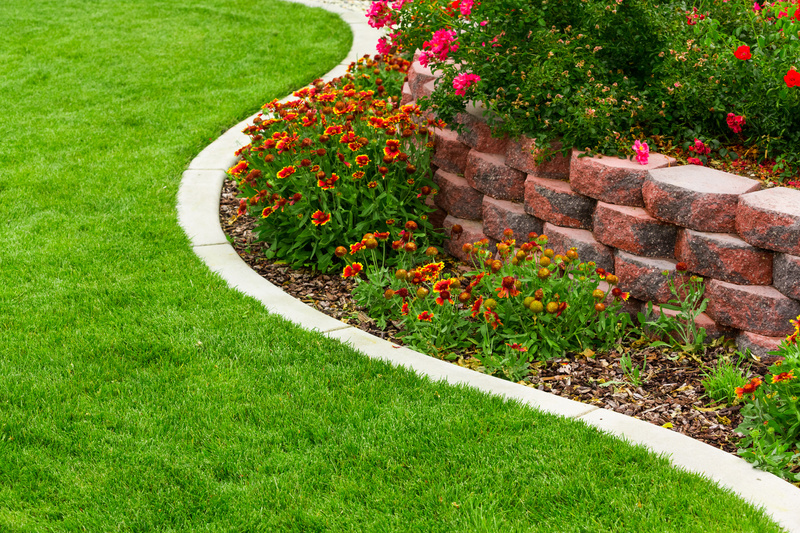 Call a professional landscaping team near you for help today!